How many times can you recall learning about a new restaurant, vacation destination or cool new product in the midst of a casual conversation with a friend, relative, colleague… or even a complete stranger? That’s called word-of-mouth advertising and you’ve undoubtedly experienced its success first hand on many occasions. The problem is: How do you get your own words to travel down the grapevine? Well, the easiest way to begin is by having your friends, family, colleagues and even current tenants spread the word for you, in exchange for a referral fee for any qualified applicant that signs a one-year lease agreement. Referrals have been known to range anywhere from $25 all the way up to the equivalent of one month’s rent – commonly paid to real estate professionals. If you think the offer would be better received if presented in a formal manner, then simply put it in writing, so those to whom you are proposing this will take it very seriously. Remember, every day your property sits vacant, your cash stops flowing at a rate of $20 – if not $50 or more each and every day! So pass the word and share some of your proceeds, because it’s better to pay for performance than to have no performance at all – and your potential outlay is substantially less expensive than many of the other advertising strategies described under Advertising Your Vacancy. 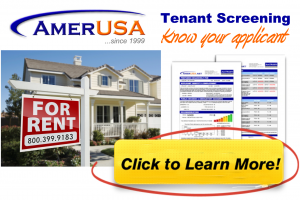 Previous Previous post: Flyers for Your Rental Vacancies?